AMERICAN EVANGELICAL Christians tend to be very supportive of the Jewish people in general and the state of Israel in particular. Surveys show that American evangelicals are far more likely to support Israel, and twice as likely to say that Israel was given to the Jewish people by God, than American Jews. Dr. Michael Bennett, who produced and hosted the excellent FutureQuake radio program between 2005 and 2012 (click here for archives), discovered during research for a forthcoming book project, The Holy War Chronicles: A Spiritual View of the War on Terror, that prominent Jewish religious figures have for centuries engaged in what can only be called practical magic. This sometimes takes the form of calling down curses on prominent politicians with whom they disagree — including Americans. Please join Derek and Sharon Gilbert Sunday mornings at 10:30 AM Central Time (UTC -6) for the Gilbert House Fellowship. Our plan is to study through the Bible in a live webcast every Sunday morning. Log on to www.GilbertHouse.org for more details. I was so glad to hear Dr. Future again. There are few evangelicals who are actually willing to think these days, and precious few that realize that there are holes in the whole Late Great Planet Earth/Left Behind view of end times. Evangelicals today want to give modern day Israel a pass on pretty much anything it does, including its most egregious sin of rejecting Jesus (as if He were not the only way). The rabbit hole goes even deeper in the Evangelical Industrial Complex (EIC) when you follow the money. I would encourage you and Dr. Future to keep digging. Excellent feedback comment eeellama. Won’t have to dig too far. Great episode, I can’t wait to read Dr. Bennett’s aka Dr. Future’s books. I will definitely need them for research for an upcoming project I’m working on. 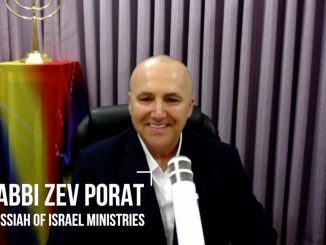 I was at a local church here in Canada with a guest speaker who is from a well known organization that aims to bring the good news of Jesus Christ to the Jewish population. This man is a Jew who was gave his life to Christ many years ago and gave Christ much praise and glory. He gave a wonderful lecture (I’ll leave his name out of this). Afterwards, I had the opportunity to thank him for coming and how I had been following the ministry he is a part of for some time. I also casually dropped the name of the International Fellowship of Jews and Christians. In a very kind way he said to be very careful when choosing to support certain ministries, as some of these groups are very anti-Christ and actually use the funds received in the west to ensure that Jews do not hear the good news of Jesus Christ- All without any prompting or suggesting on my part. He said it in such a way that was not attempting to smear I.F.J.C. but to ensure that loving donations aren’t being used by certain groups to prevent the Jewish people from coming to Christ. I already believed what Dr. Bennett had to say about certain groups but I felt this was amazing confirmation! Great show, sad to hear some of this. Lets keep praying for our Jewish brothers and sisters! I discovered “Future Quake” rather recently. 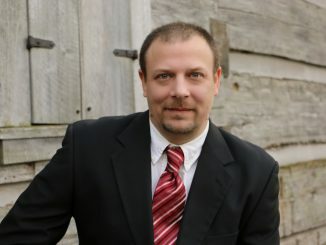 I thought that Dr. Michael Bennett was a rather pleasantly less-insane evangelical than many that I have listened to and some of his interviews with less traditional christian authors were actually fairly interesting. This interview has greatly disillusioned me. When he spoke of jewish rabbis invoking death curses on people, I was disappointed by his seeming hypocrisy. Yes, I find many many ultra-orthodox rabbis repulsive individuals but I can say the same thing of nearly anyone who has completely immersed themselves in the world of magic. But to call these curses demonic magic while completely ignoring the many evangelicals who think nothing of praying to God to bring death and destruction against people that they don’t like was nothing short of hypocrisy. The jewish death curses were prayers. Just because they cut Jesus out of the process and went straight to Yahoweh doesn’t make their prayers any more demonic than the repulsive prayers of many evangelical leaders. I’ll also add that I’ve yet to see any evidence of either group’s prayers working. Perhaps Yahoweh is, rather sensibly, ignoring them. It was his comments on the demonic nature of the jewish hekhalot / merkabah experience that I really took offense at. It seemed like he had actually read some of the materials (though, to be honest, if might simply have been the Wikipedia page) so I expected better of him. If had actually read the texts of which he had spoken, then he would have seen that they are filled with prayers and purifications (many not unlike those employed by the apostles and early church fathers) which are employed to allow them to liberate themselves from their bodies and venture to the heavens. Paul, in “2 Corinthans” 12:2 ventured to the heavens. Enoch, in the “1 Enoch” did exactly the same thing. Far from these hekhalot rabbis invoking the names of demons to pass through the gates of the heavens, they were employing the same formula that Enoch employed and which Paul probably did but didn’t bother to mention. The jewish priesthood didn’t vanish. Without the Temple, they didn’t have anywhere to sell their services but they are still around waiting for Yahoweh to drop the Third Temple on top of the Dome on the Rock. 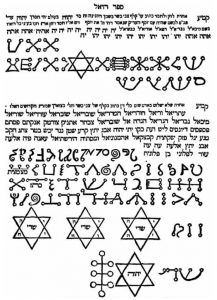 If you claim that hekhalot / merkabah and even kabbalah are demonic, then you’re going to have to explain away all of the demonic actions that Jesus and Paul engaged in such as necromancy (Lazarus), common magic (rubbing spittle in eyes to cure blindness), exorcising demons in the name of Beelzebul (a charge that, by the way, Jesus never actually denied), visions (Paul on the road to Damascus), and astral projection (Paul’s journey to the 3rd Heaven). His astounding hypocrisy only weakens his arguments rather than strengthens them. And, no, the “Four Who Entered Pardesh” story did not involve Jesus. A, probably, later insert to the story involved Rabbi Abuyah seeing Metatron, nee Enoch nee Noah on a throne in Heaven and thinking that there were two gods. It was a rather clumsy and silly insert intended to discredit both Rabbi Abuyah and the remnants of the enochian branch of Judaism. As for Rabbi Abuyah’s “crime” in the main part of the story is “cutting the grass”, which no one really seems to understand. Personally, I think that it refers to Abuyah experiencing at least one trip to the heavens then coming to the realization that the trips were simply figments of his imagination. He took up an mundane life after that (cutting the grass, i.e., agriculture) and sought to live a fulfilling and moral life as a man and not a fanatical believer in a non-existent god. It was becoming and atheist that earned him the title of heretic. Please be gracious enough to acknowledge whence you derived the Hebrew amulet displayed on this page, i.e. that it is was lifted from the “Practical Kabbalah & Self Creation” blog. You are correct, and I am in the wrong for not requesting permission. I normally use book covers or images of the guests I talk with to avoid issues with permission or copyright. I assumed that the image in question was a representation of something that had existed for quite some time and was thus not subject to copyright, but regardless, using it without permission is wrong, and I apologize. The image has been withdrawn from the site and replaced with one in the public domain. Can’t wait to read this book. Excellent interview. Please bring him back for more! I would love to find these books. Iam in 2019. where can I get them.